An exceptional pen crafted to be the epitome of integrity and quality. This Derofe fine writing instrument is presented in an elegant black gift box. Professionally equipped with a Derofe metal refill made in Switzerland. 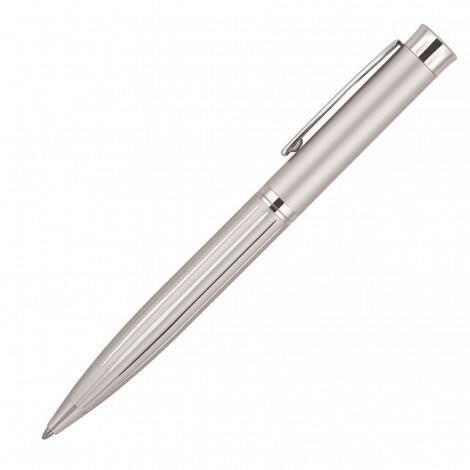 Ballpoint is 1.0mm, with a writing length of 9,300-9,500m. 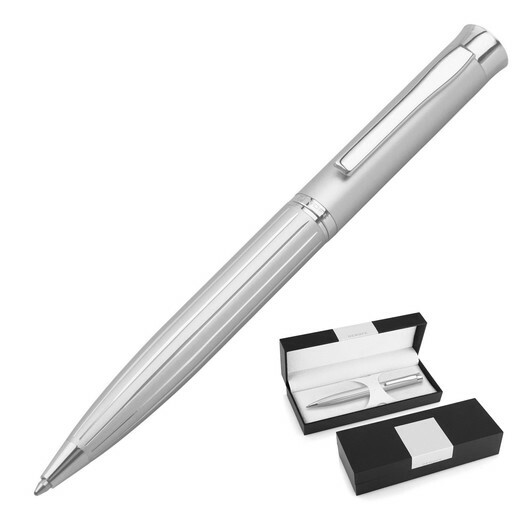 Features a durable silver metal pen with chrome trim boasts a twist action, and retractable ballpoint delivering black ink.